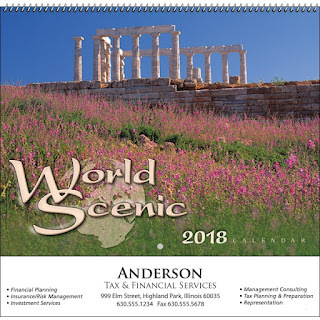 35-850 World Scenic Wall Calendar. 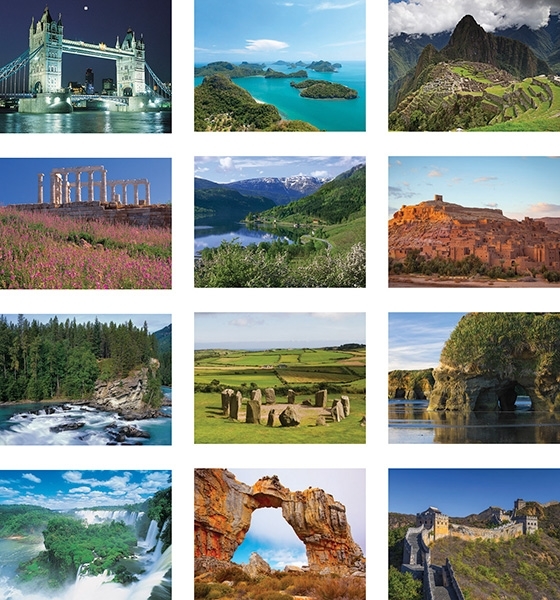 13 wonderful views of scenic world destinations, imprinted with your information, presented in 13-Month Format. 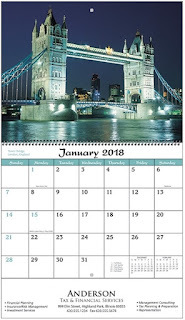 Calendars available stapled, or with spiral binding for 6¢ extra. 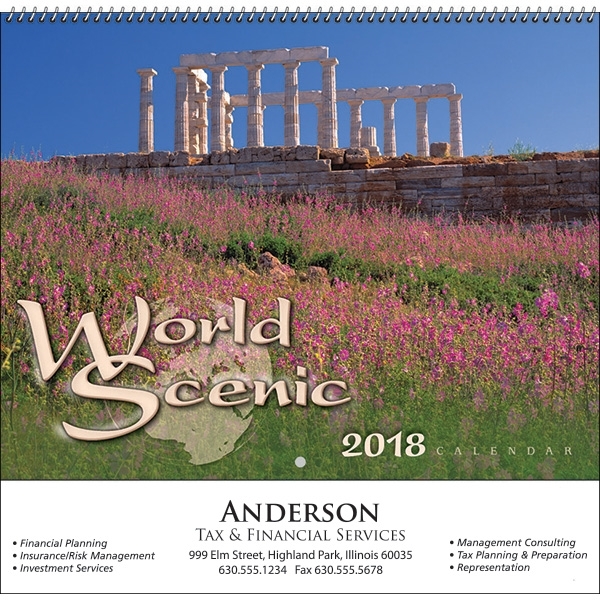 Size Open: 10 1/2" w x 18 1/4" h, Folded: 10 1/2" w x 10" h. Imprint Area: 9" w x 1 1/2" h. Default Imprint is Black/Greyscale, or contact us for multi-color imprints.